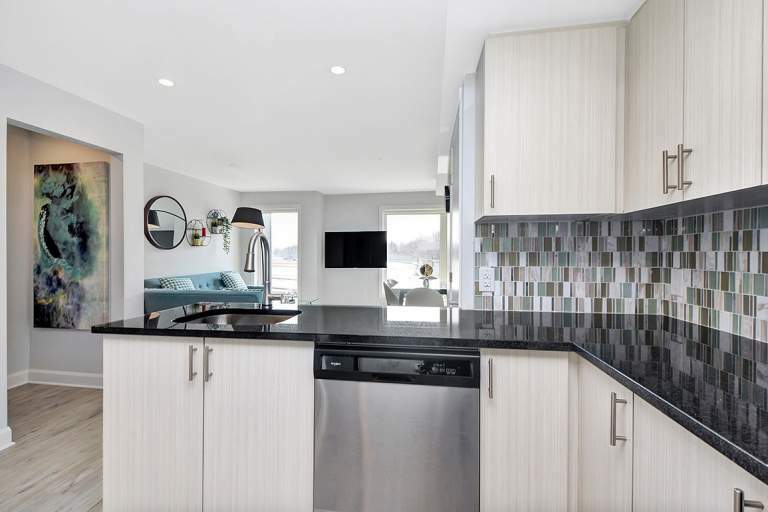 Algonquin Place is newly constructed and one of the latest versions of the Smart Living experience. 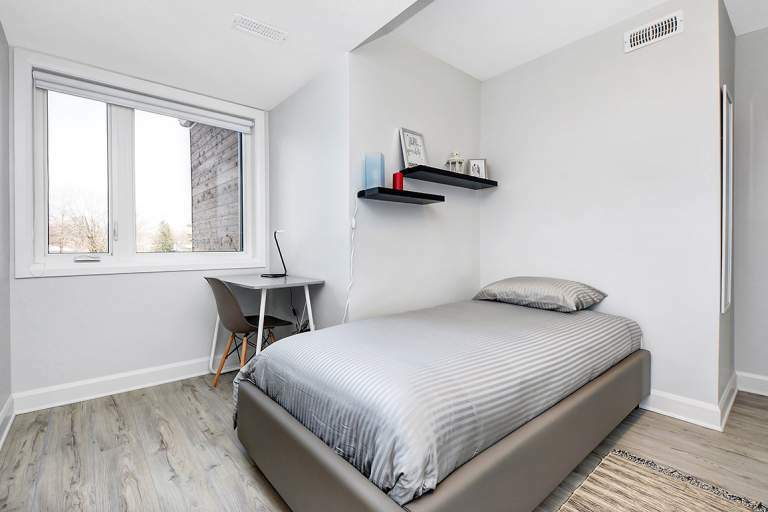 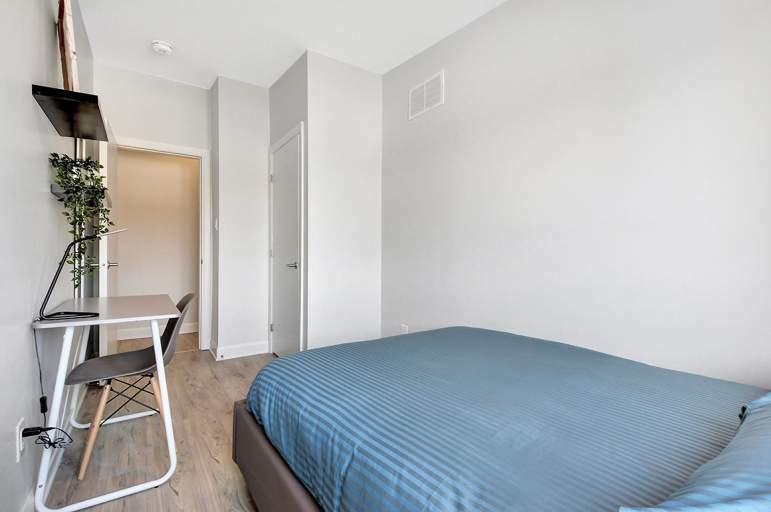 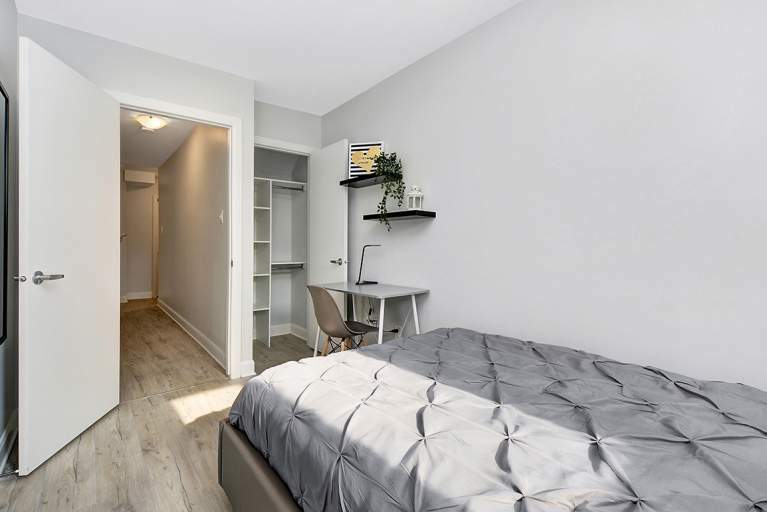 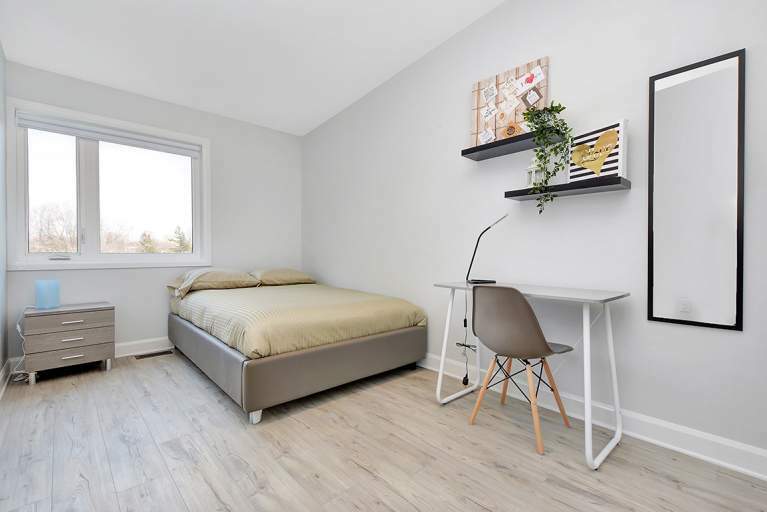 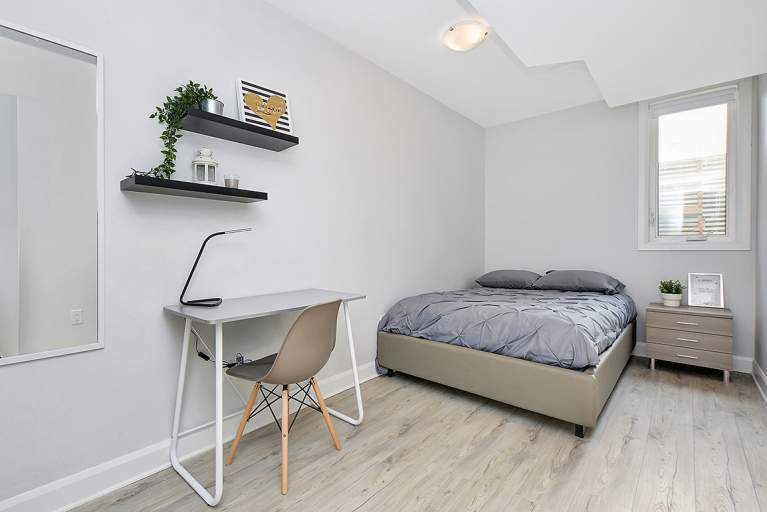 We are located at 975 Woodroffe North, offering furnished all-inclusive living perfect students. 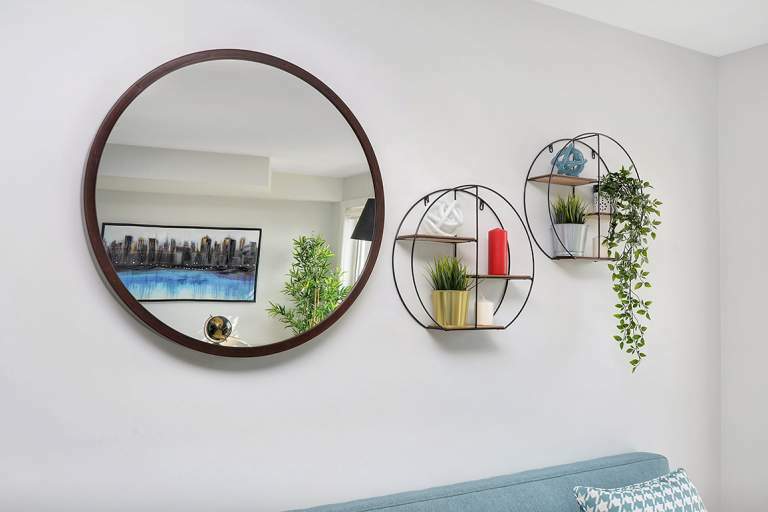 Smart Living is all about vitality, belonging and value. 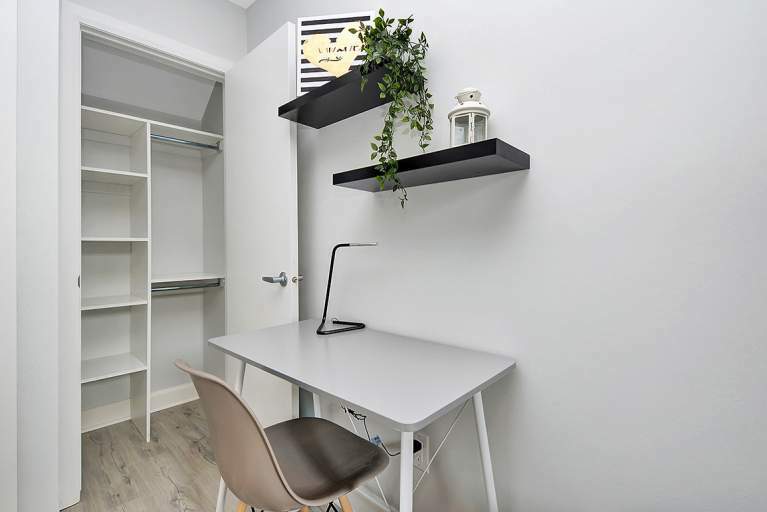 Vitality means living close to the life you want to lead. 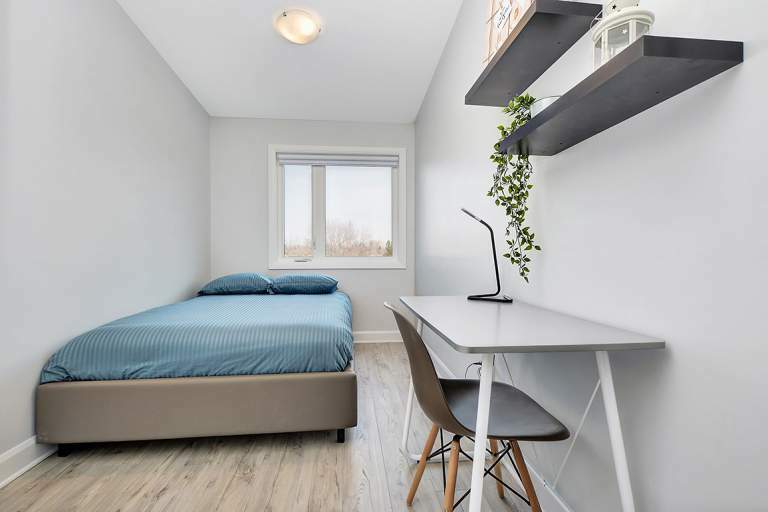 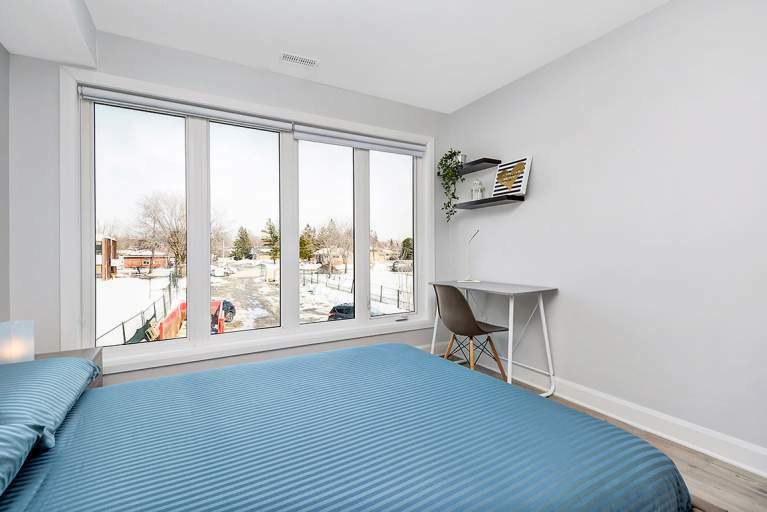 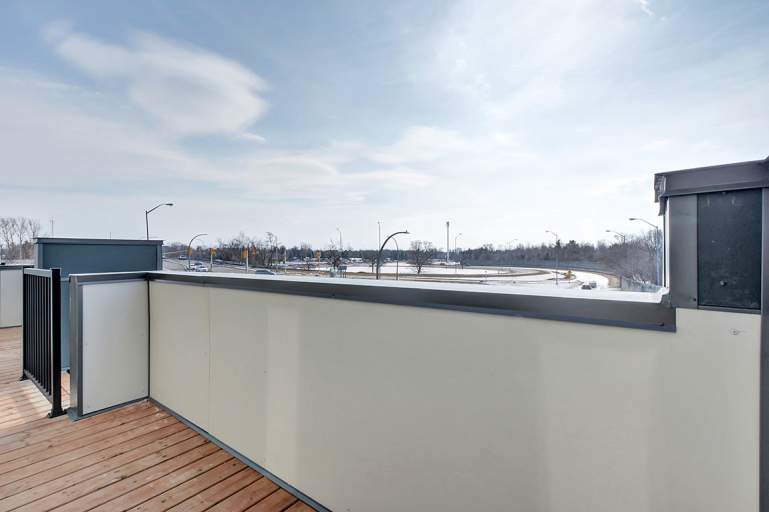 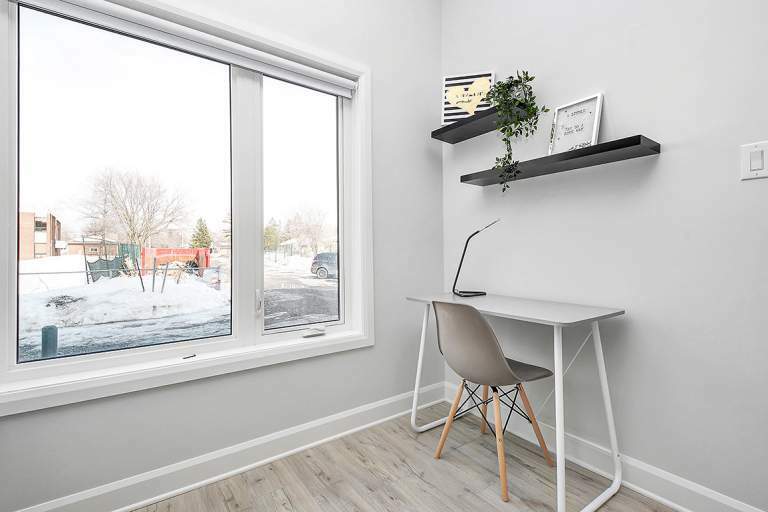 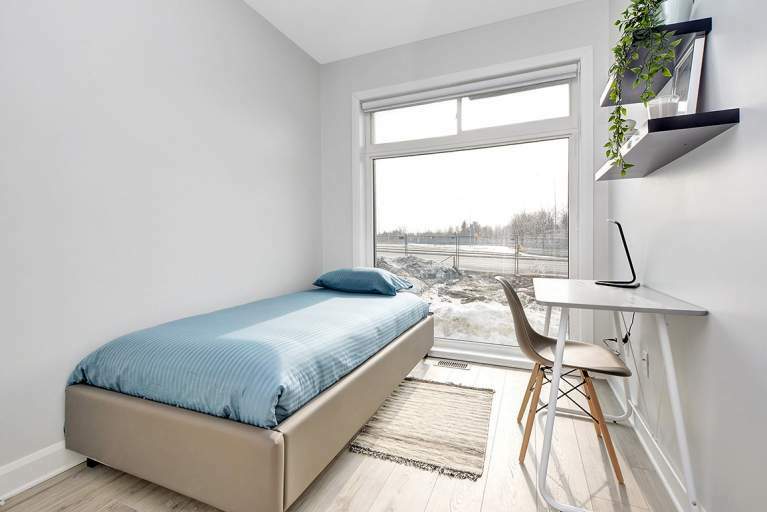 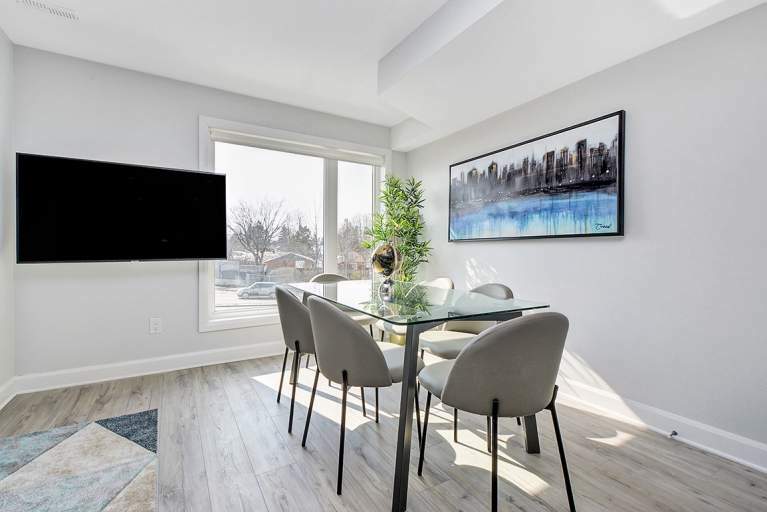 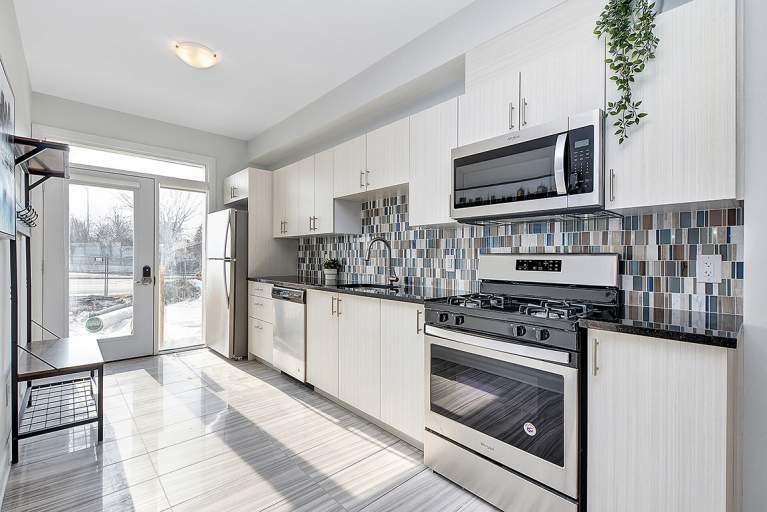 Algonquin Place is located at the intersection of the Queensway (Highway 417, Ottawa's main throughway) and Woodroofe Ave – this location means you are minutes away from anywhere in central Ottawa whether you travel by car, bus or bike. 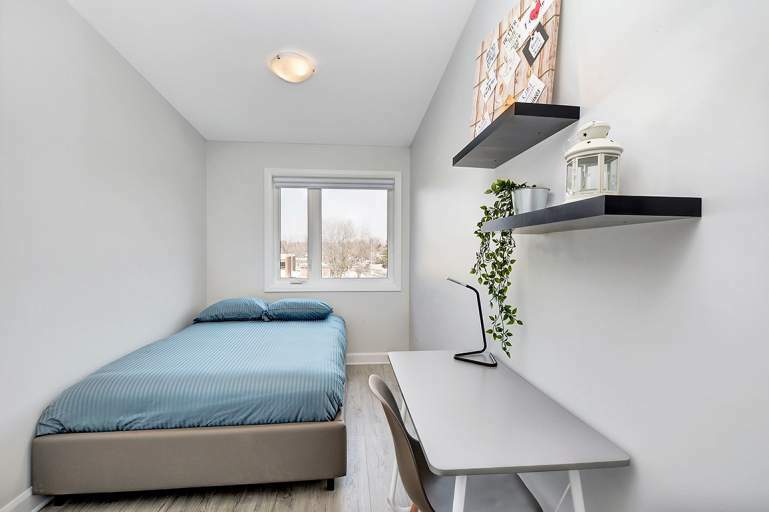 The Algonquin College main campus is just down the street so it's very convenient to get to class. 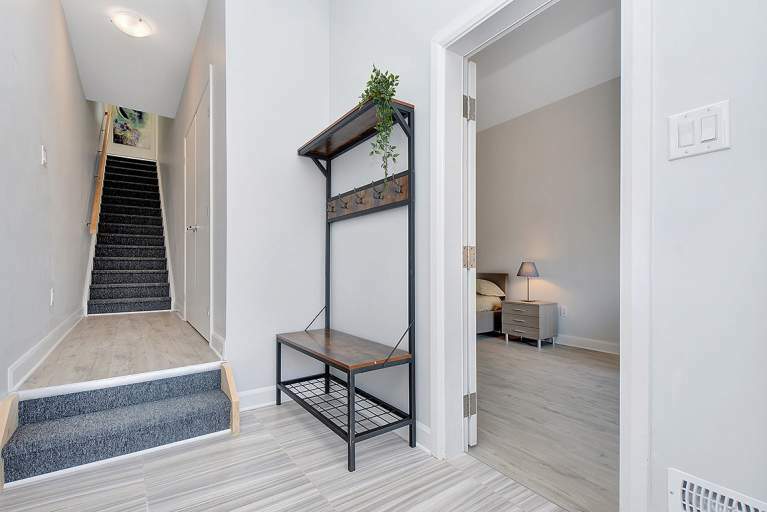 Or you can head the other direction and you are downtown in little time. 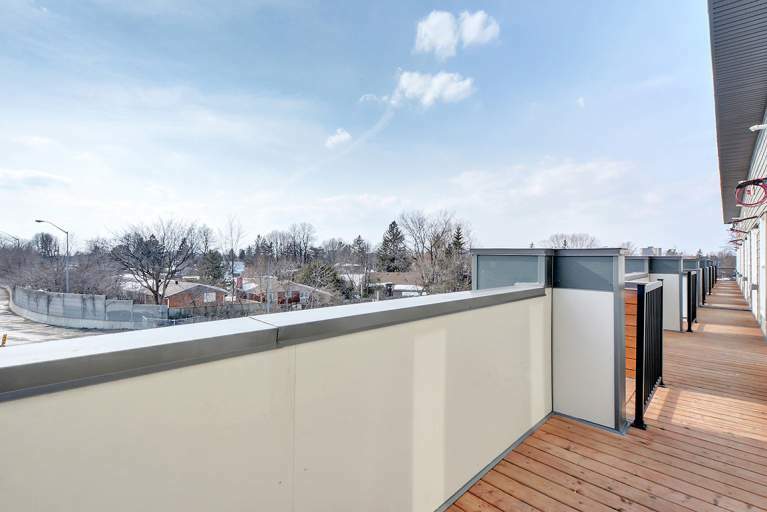 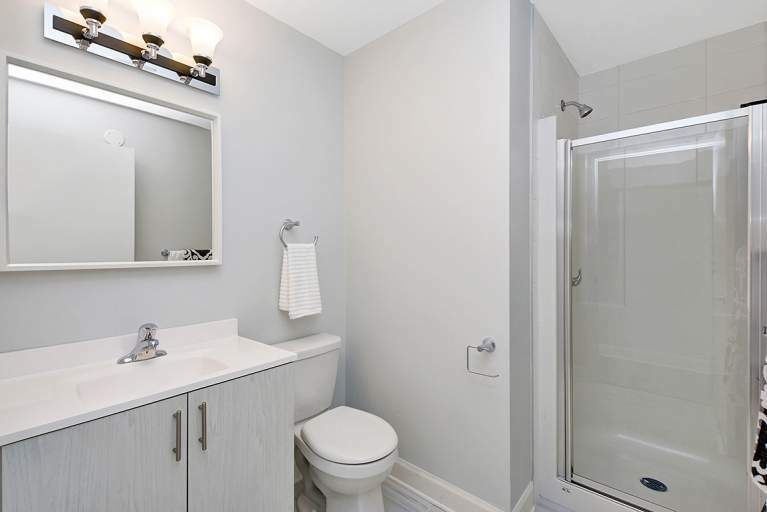 At Algonquin Place you can belong to a group while still having your privacy. 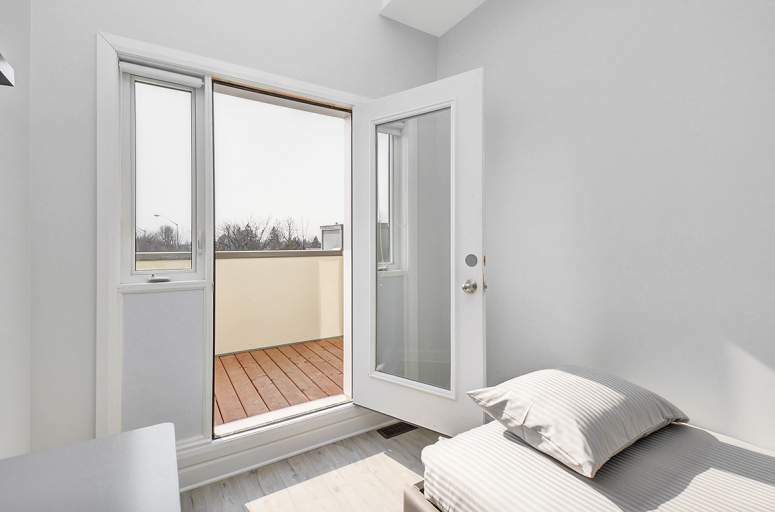 The units are designed for either four, five or eight people with great common and private spaces. 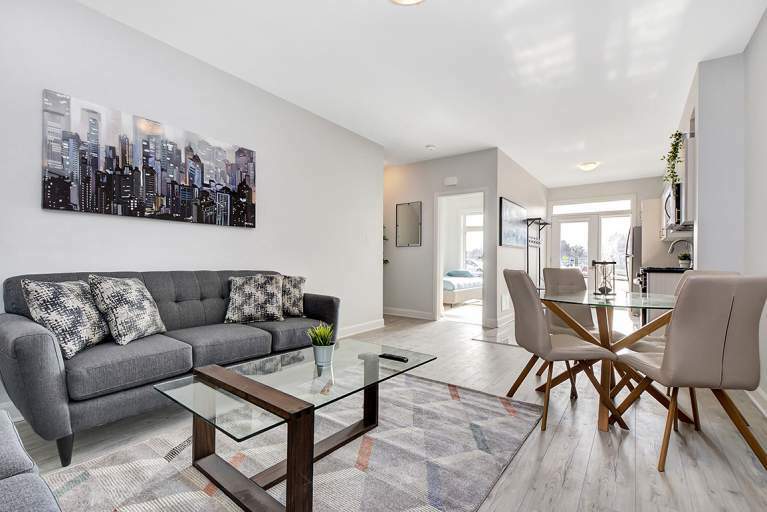 You will feel like you fit in quickly as you are part of the extended Smart Living Properties network of tenants – we'll help you settle into Ottawa. 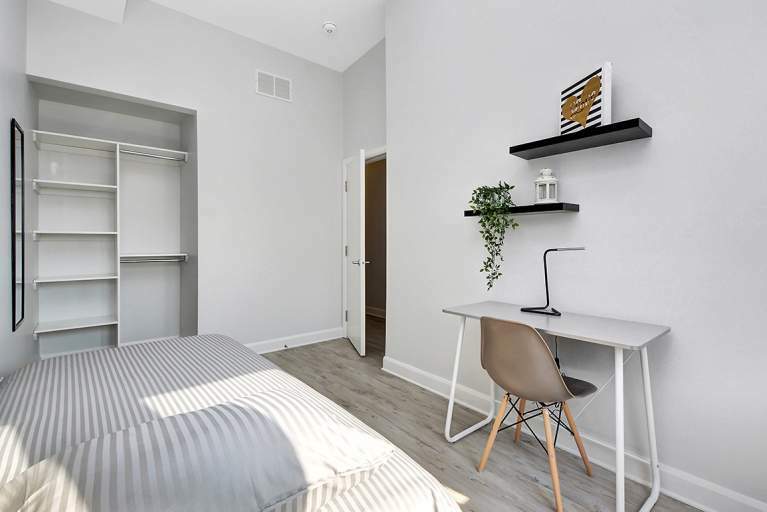 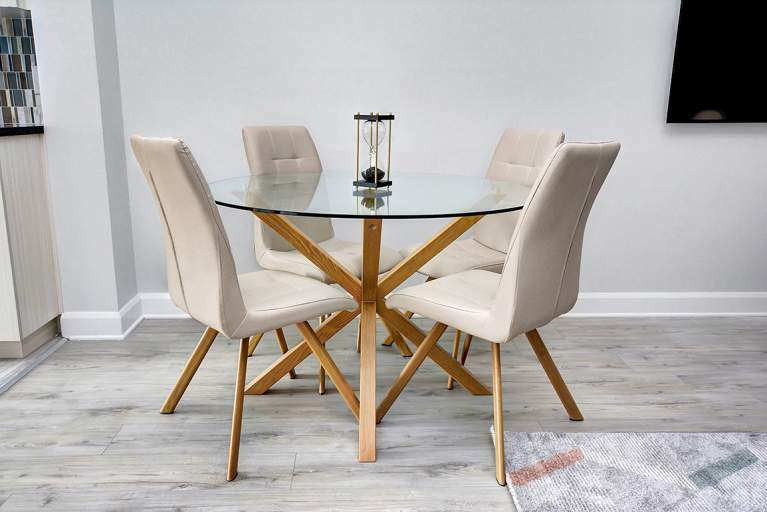 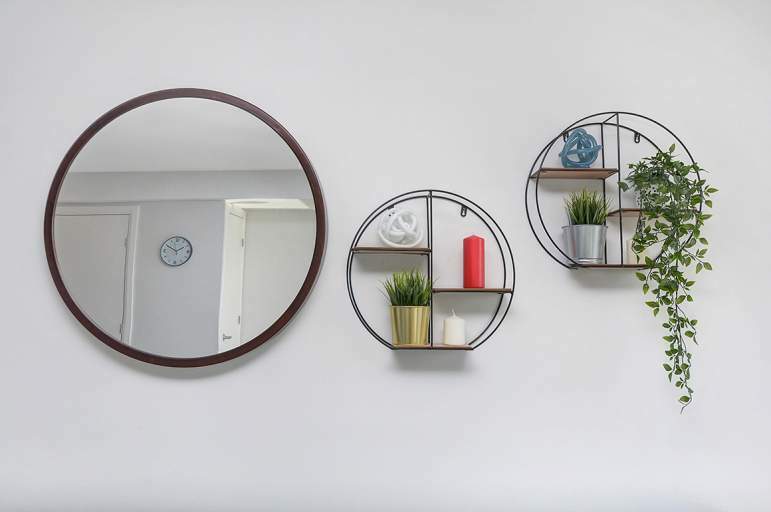 And the value cannot be beaten – modern designed furnished units for less than you would expect. 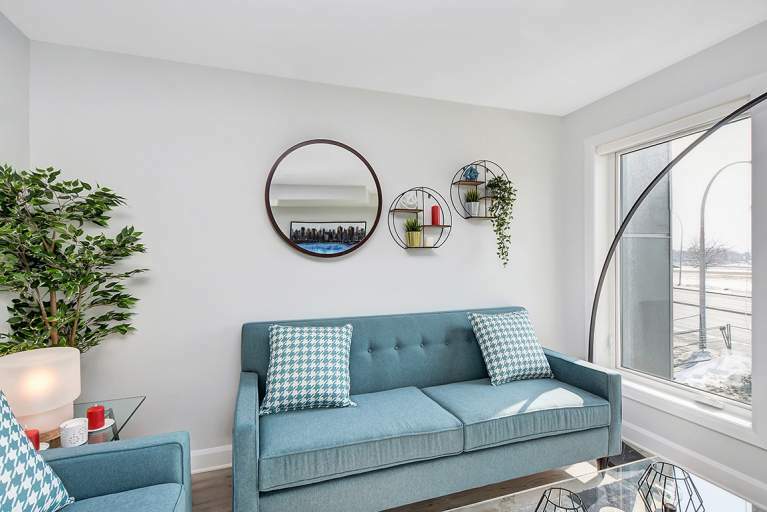 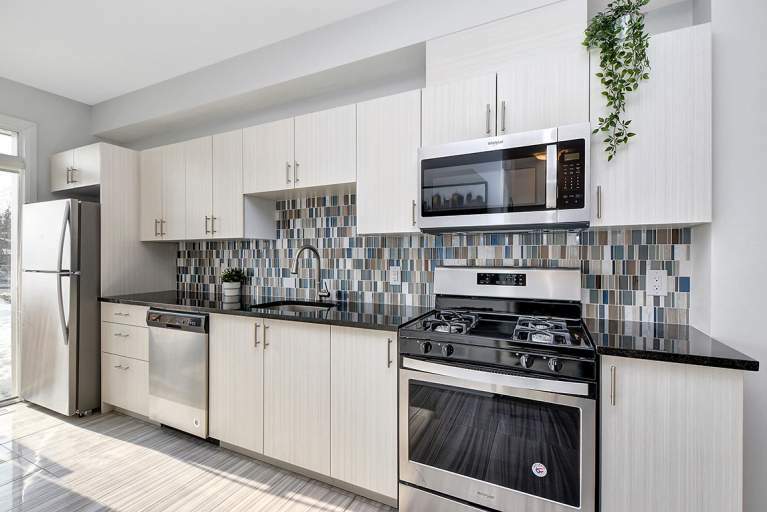 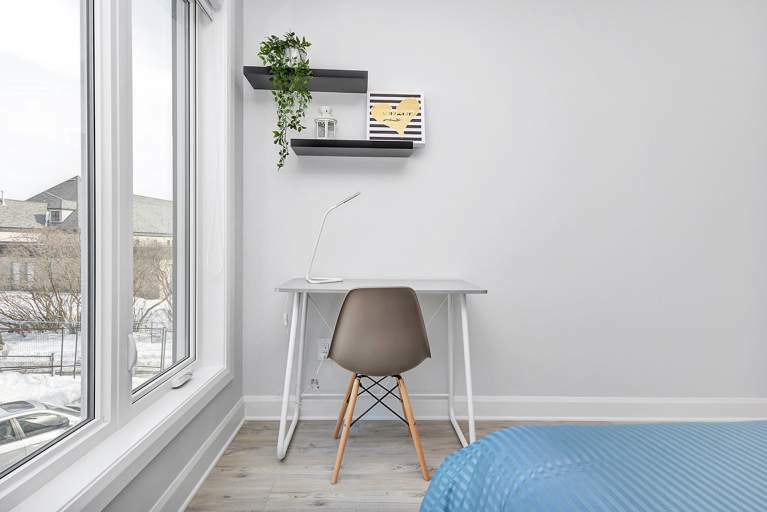 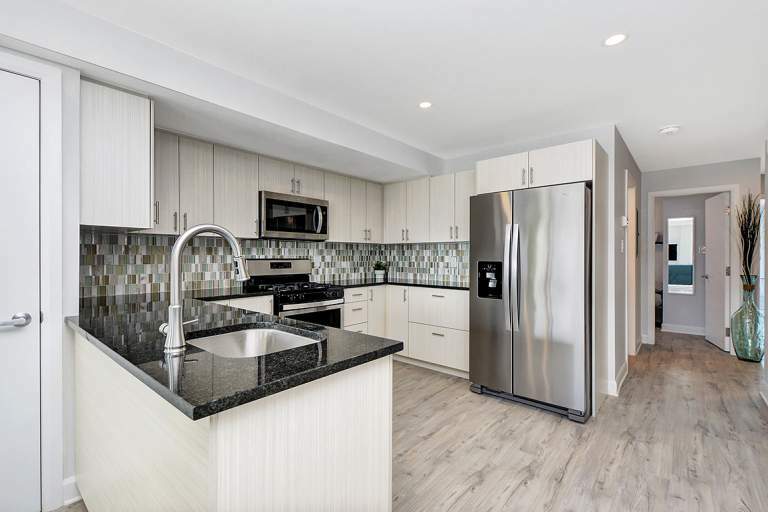 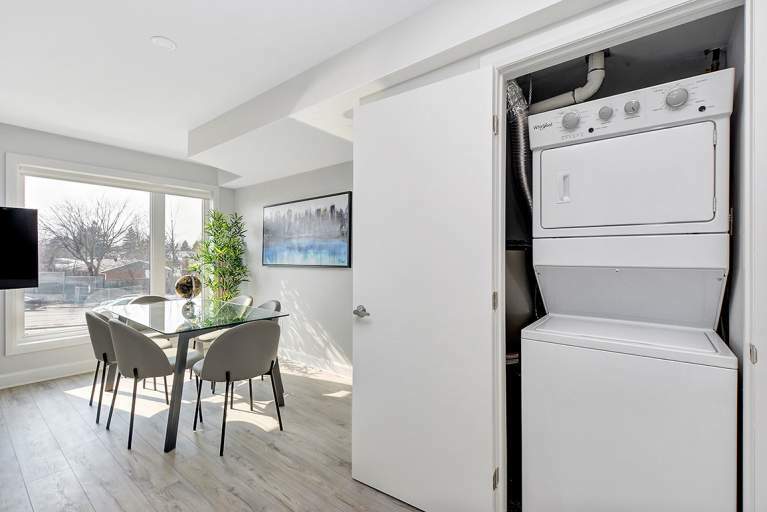 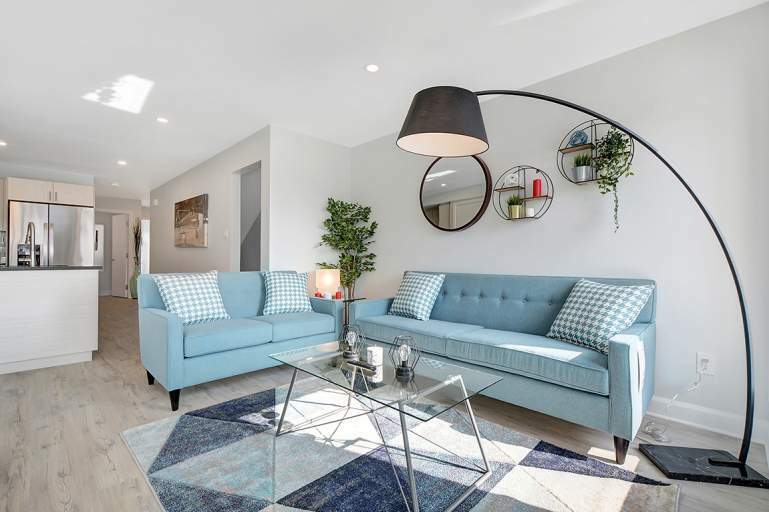 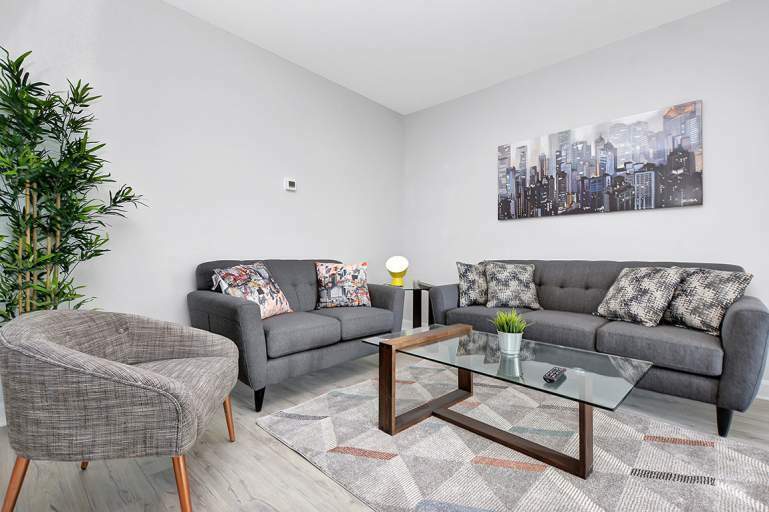 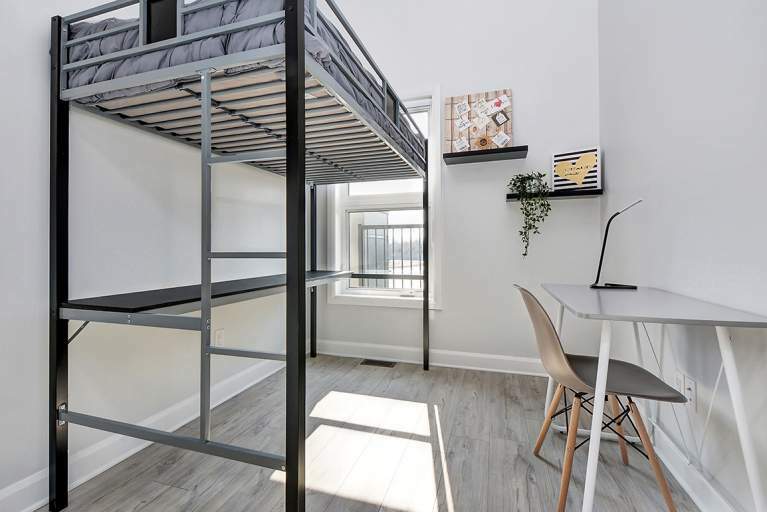 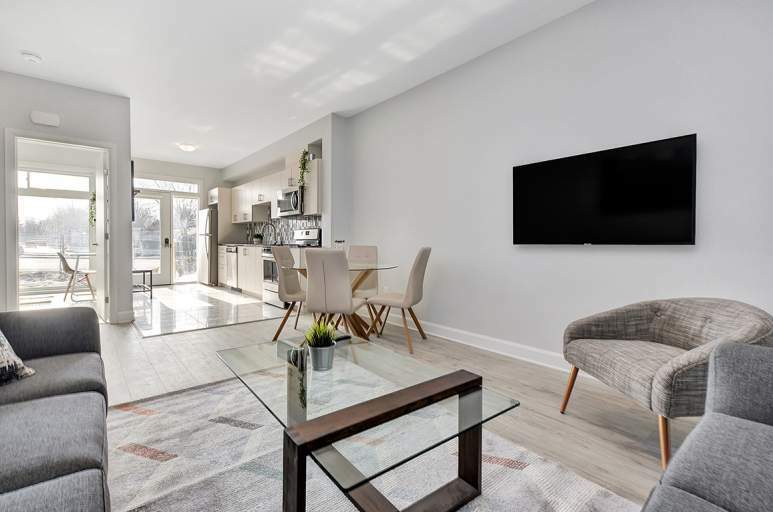 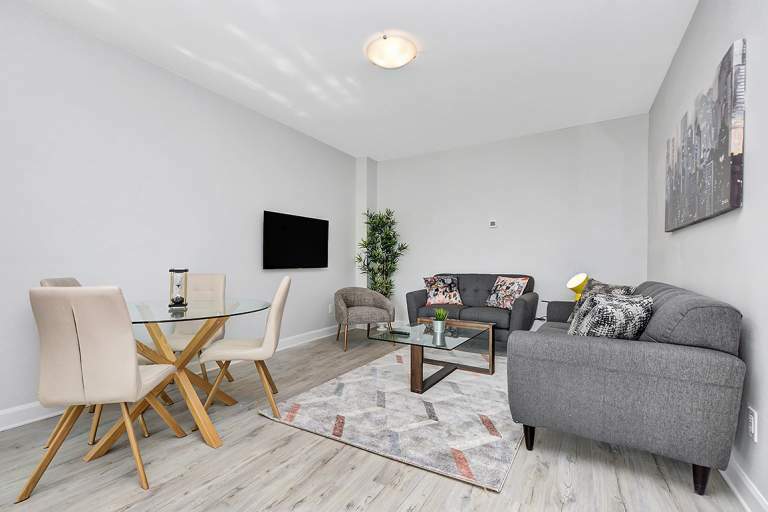 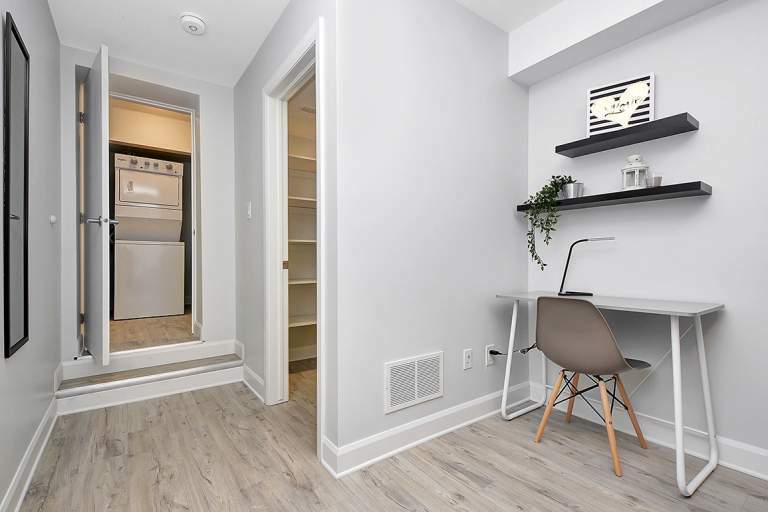 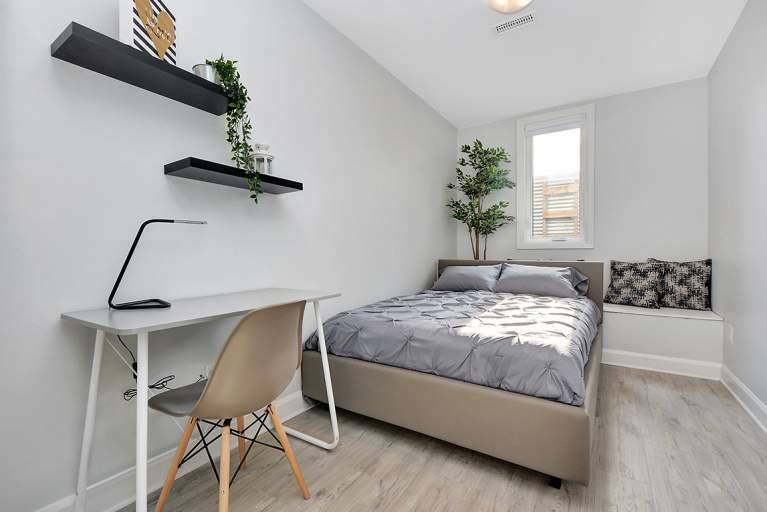 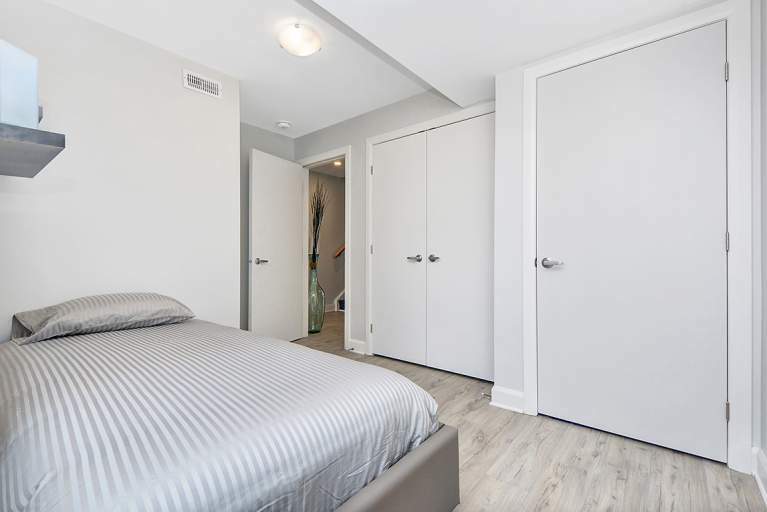 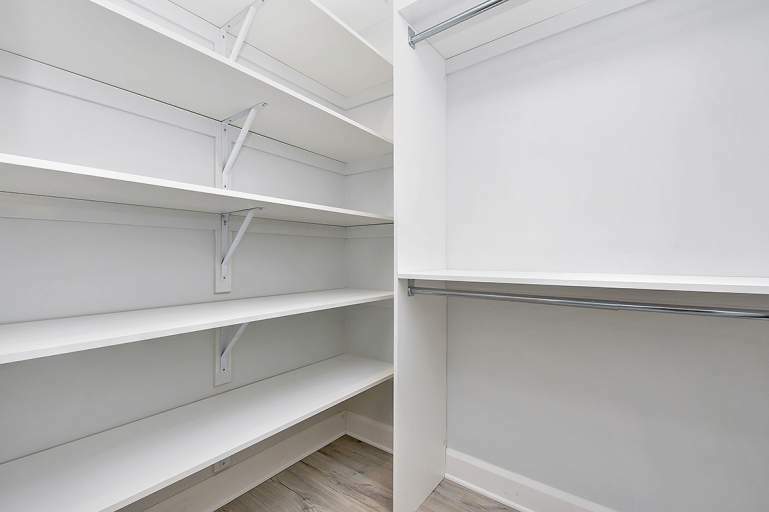 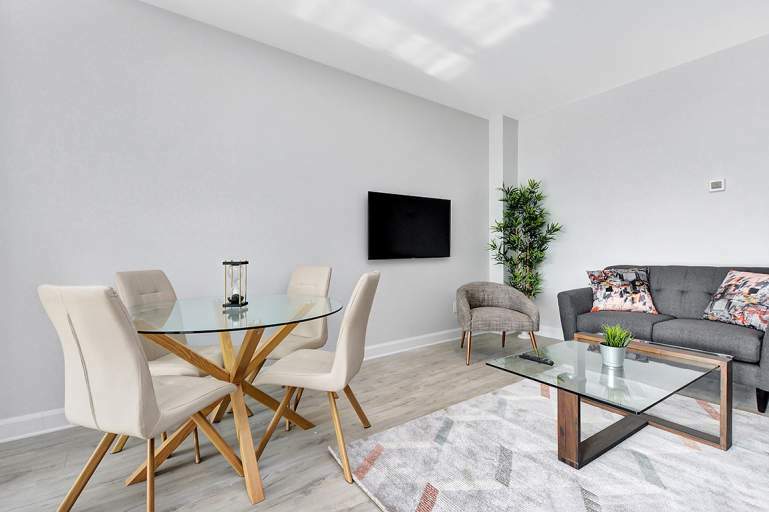 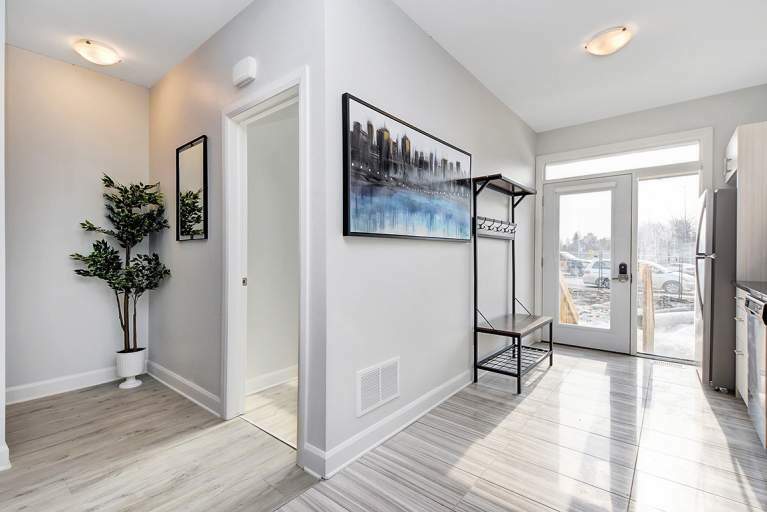 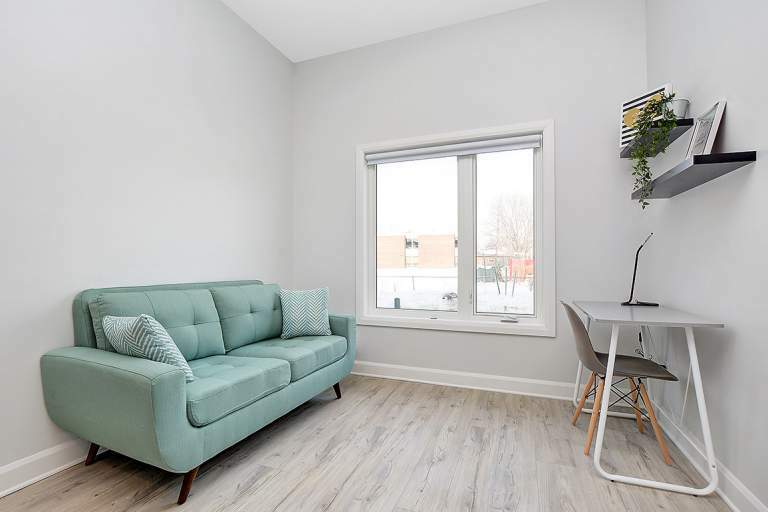 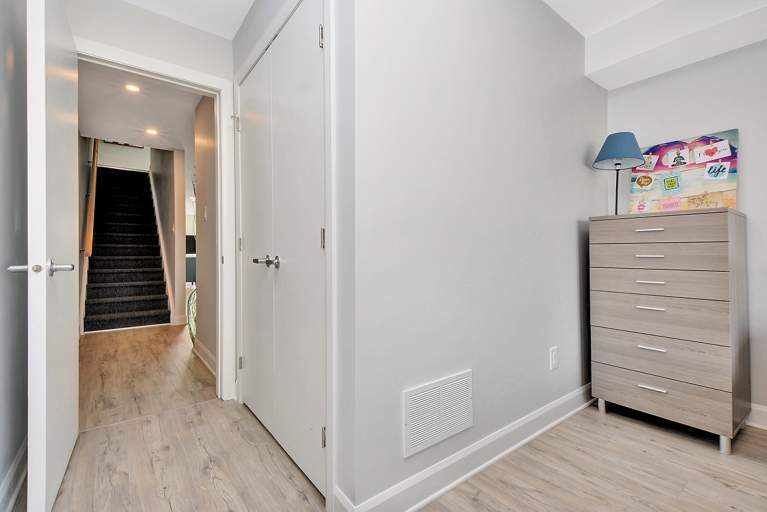 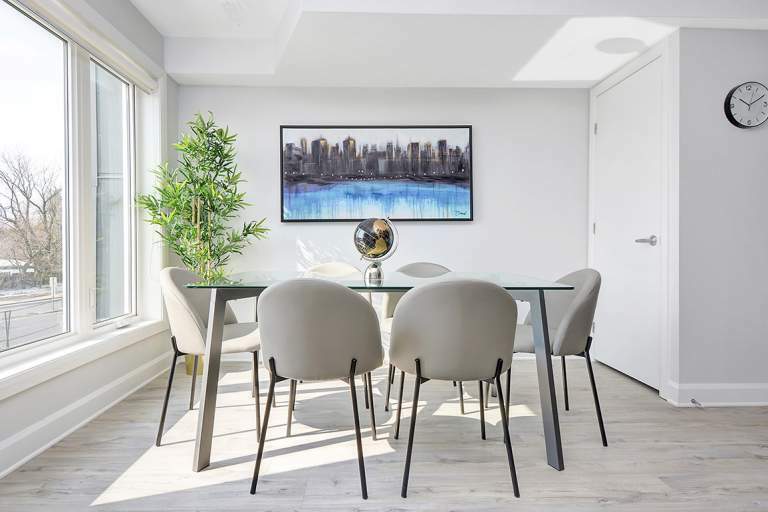 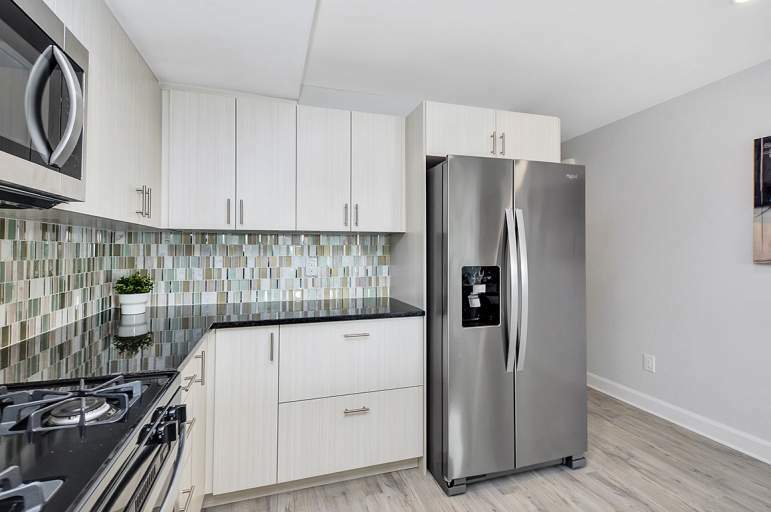 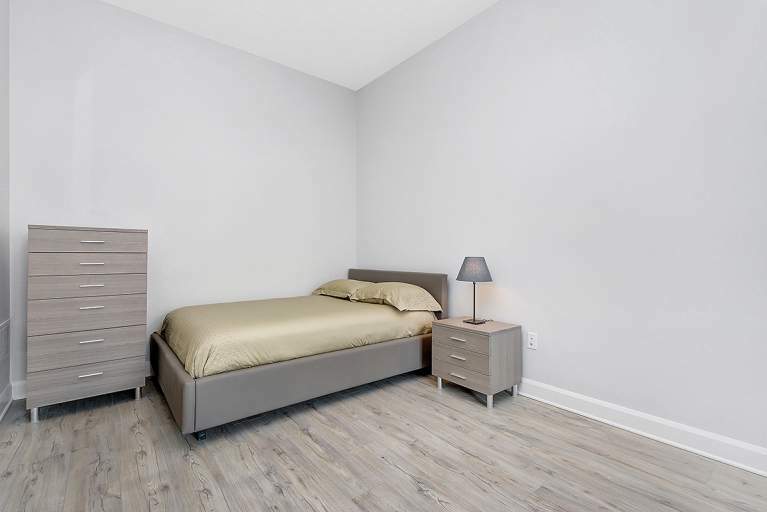 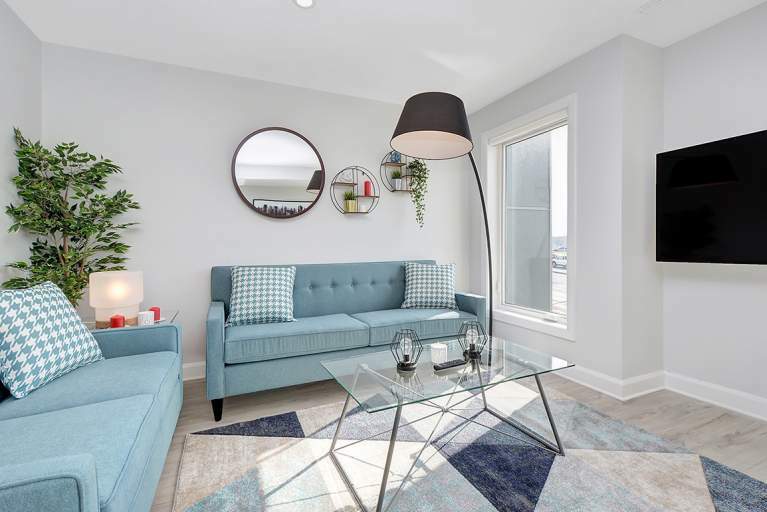 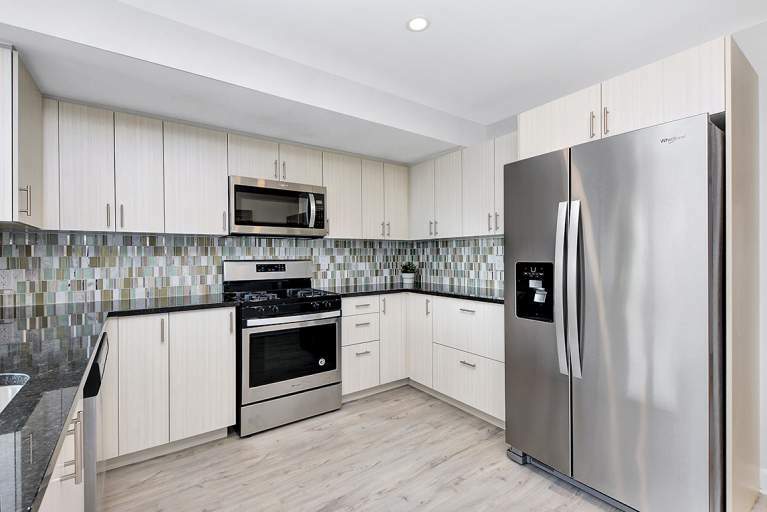 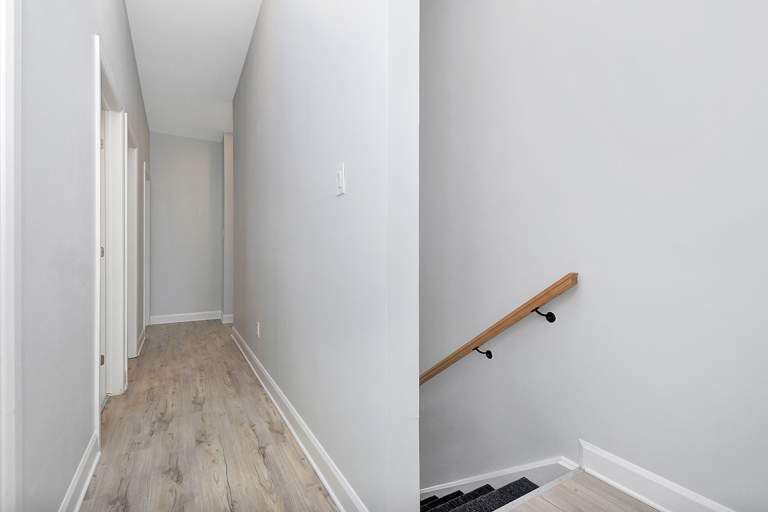 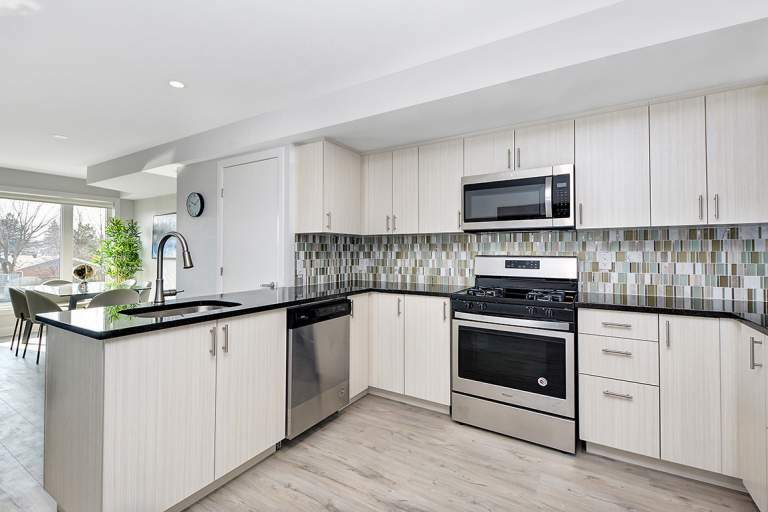 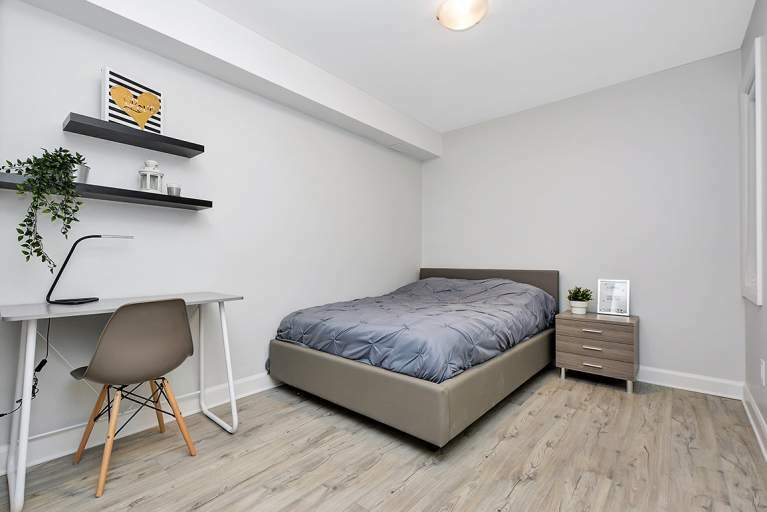 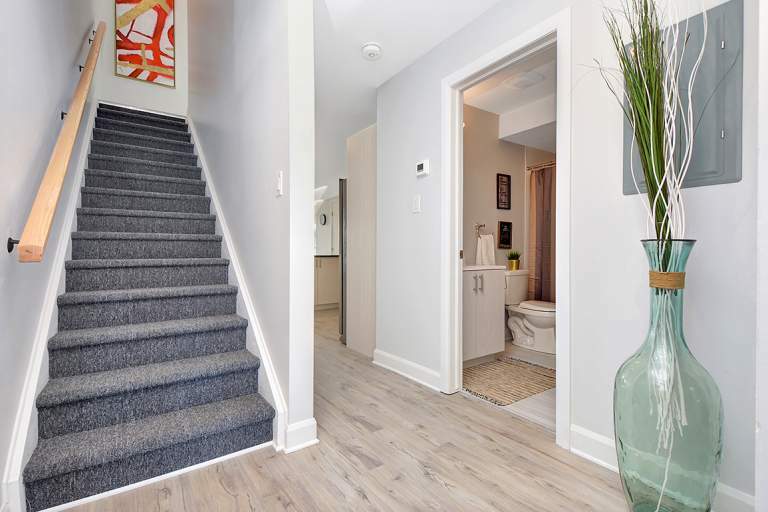 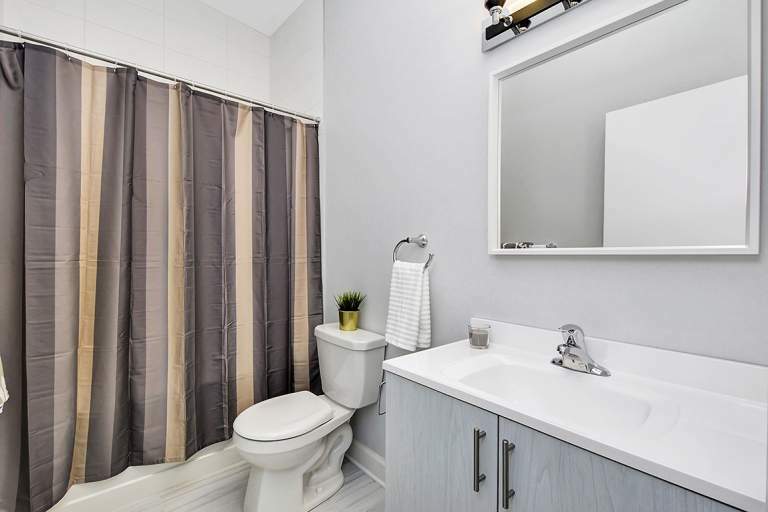 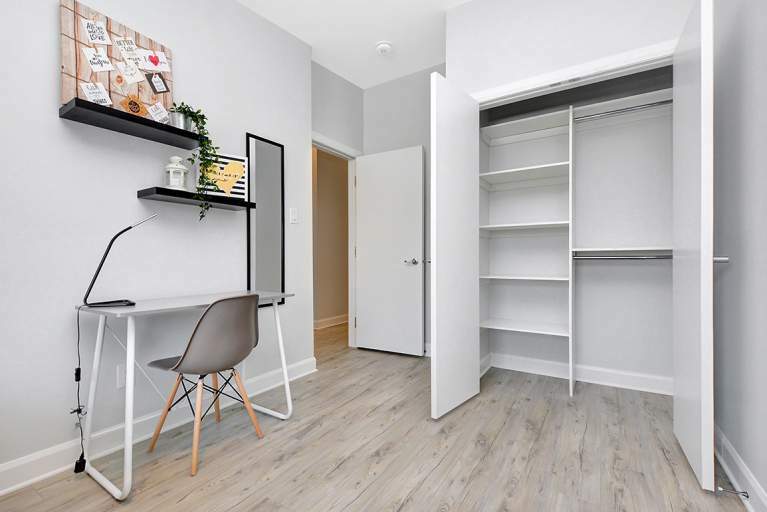 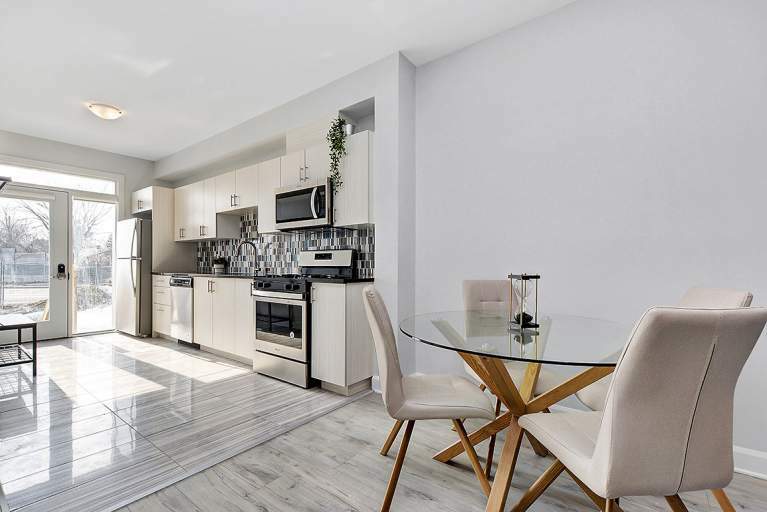 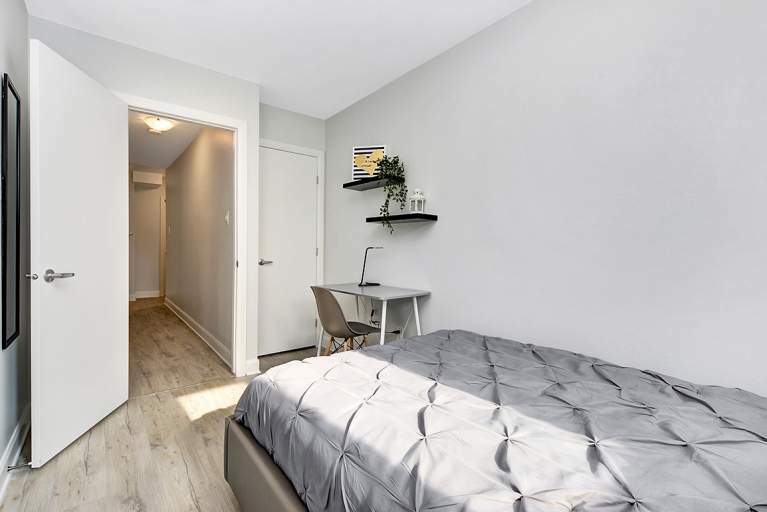 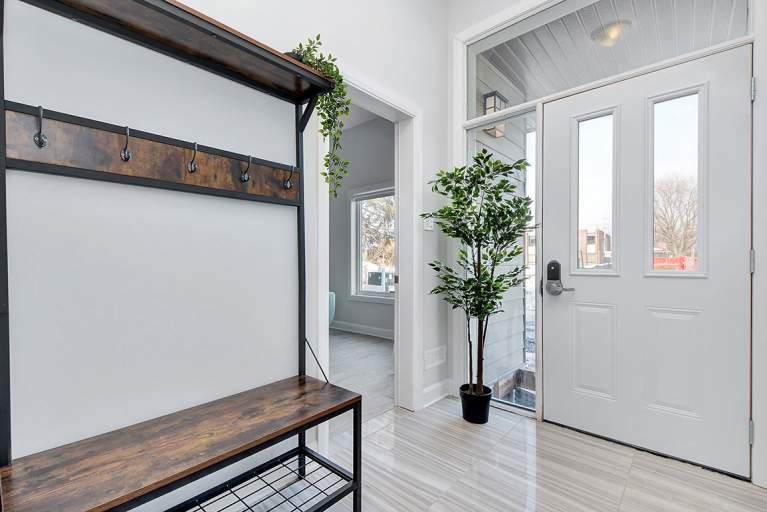 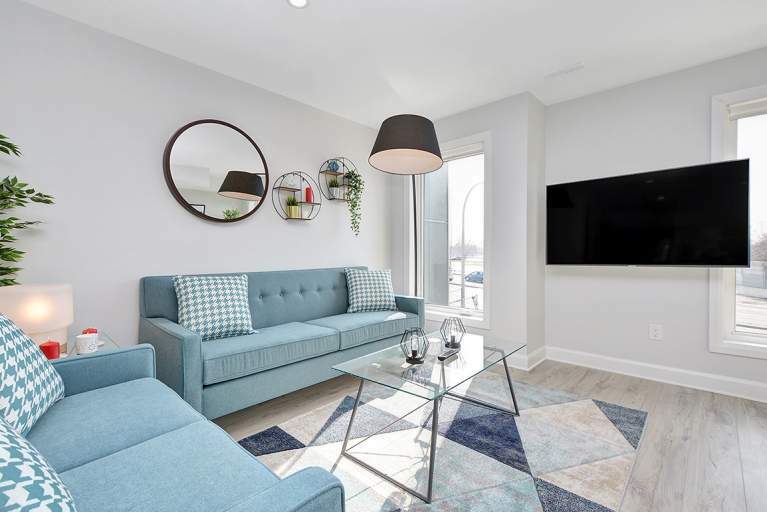 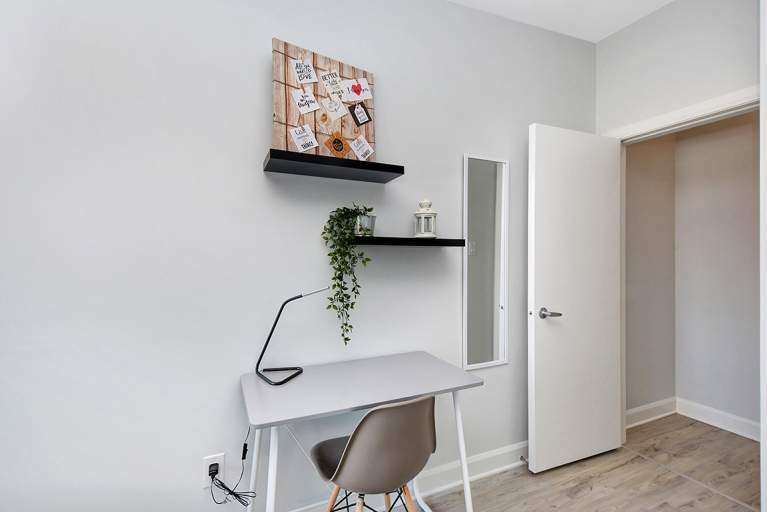 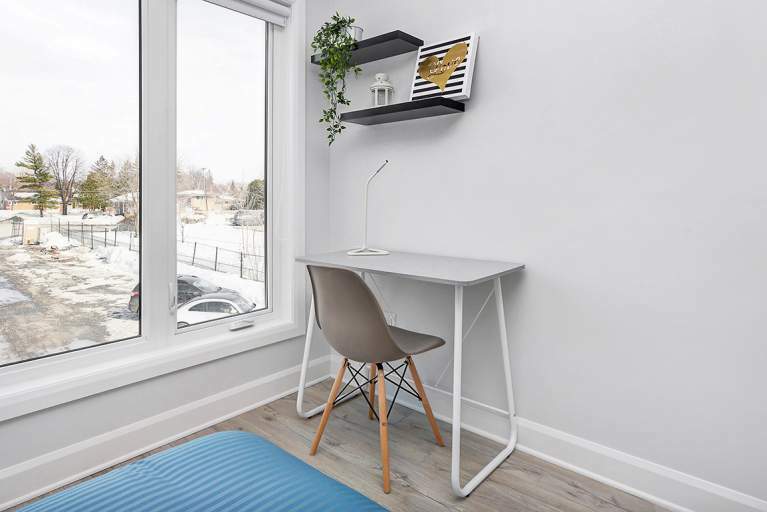 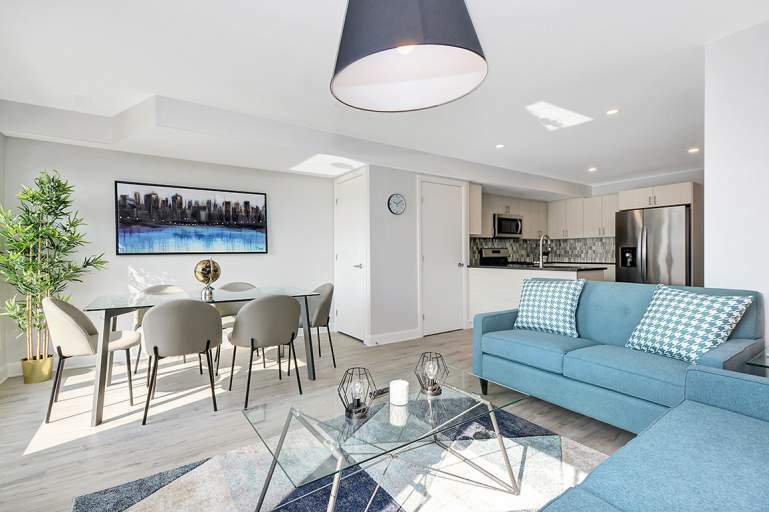 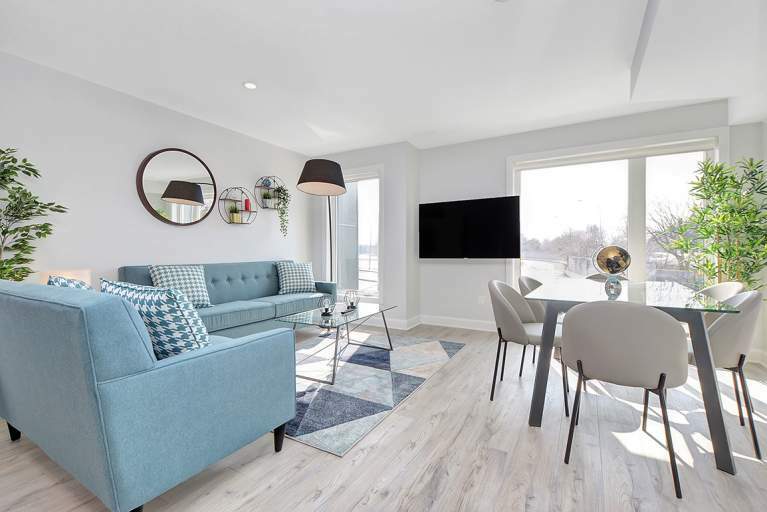 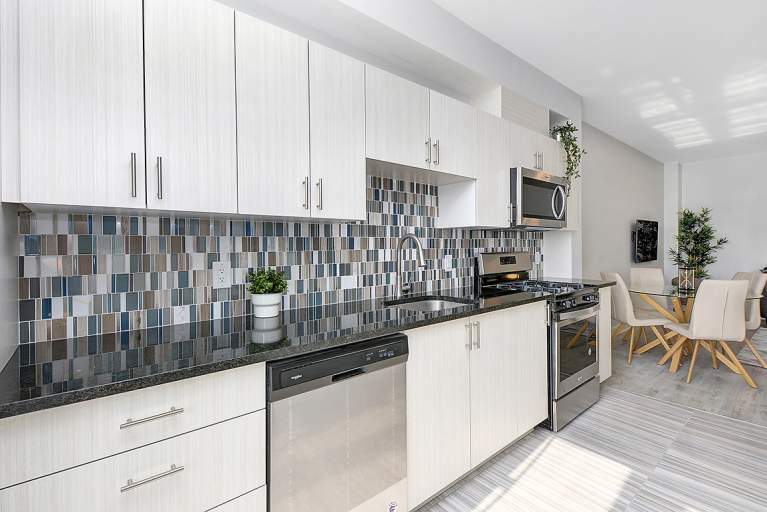 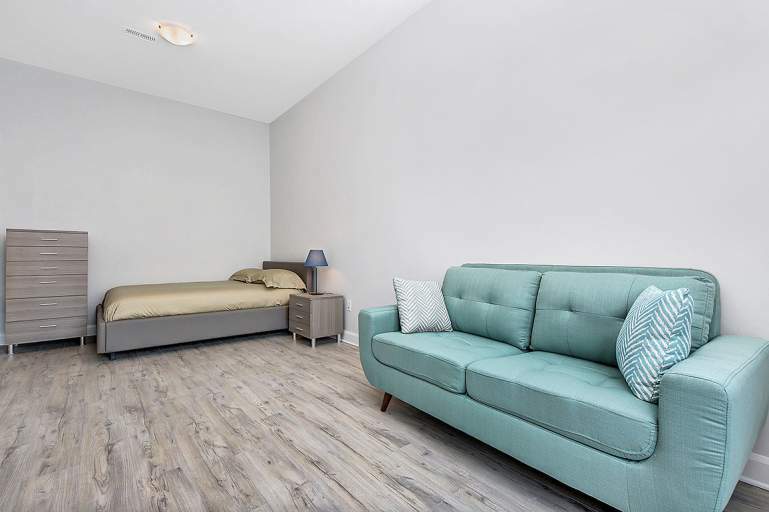 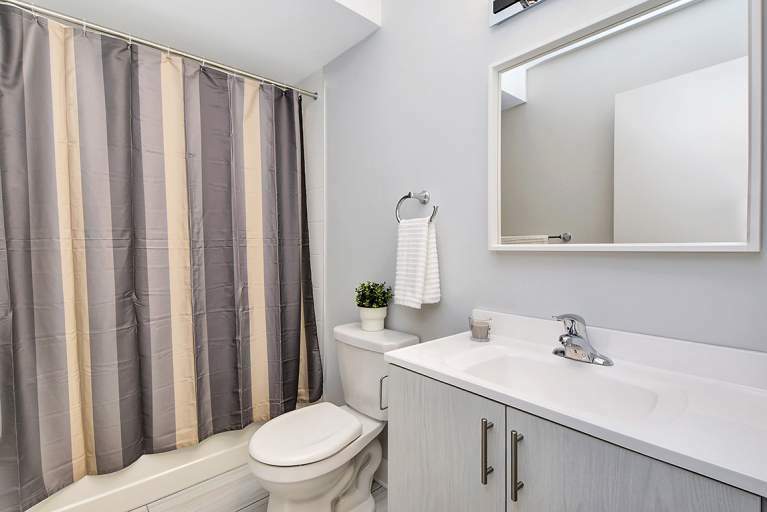 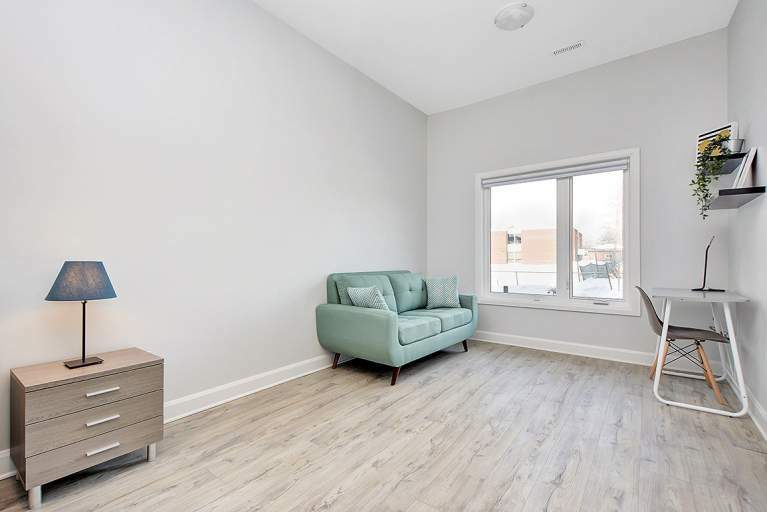 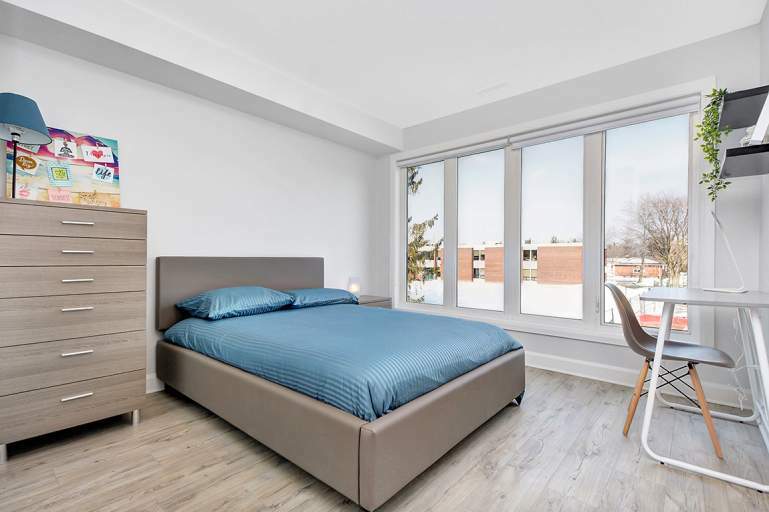 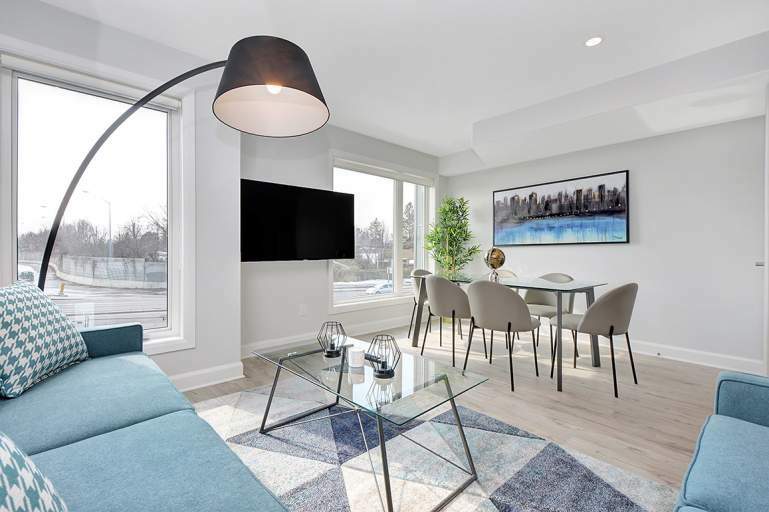 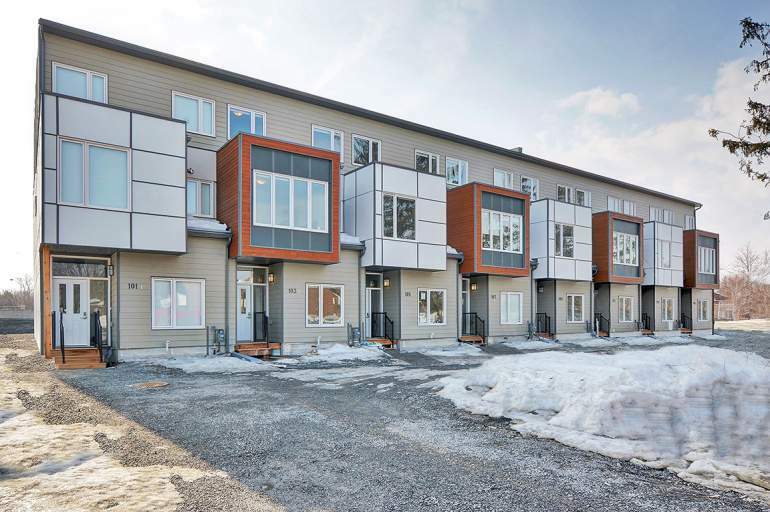 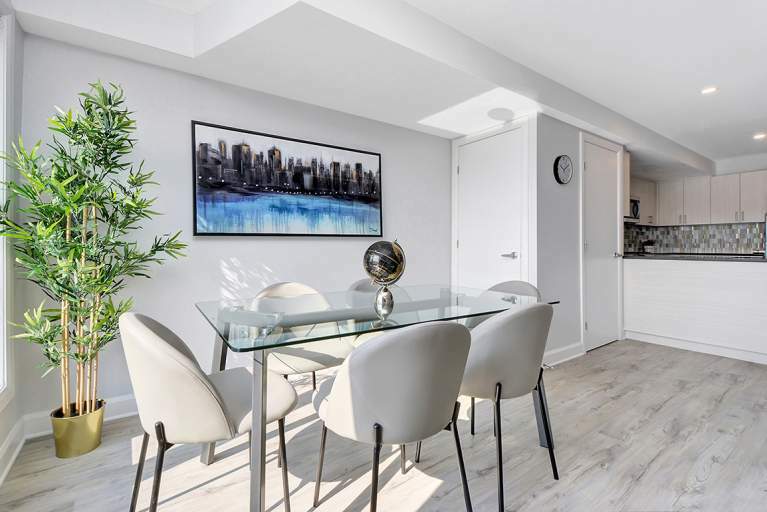 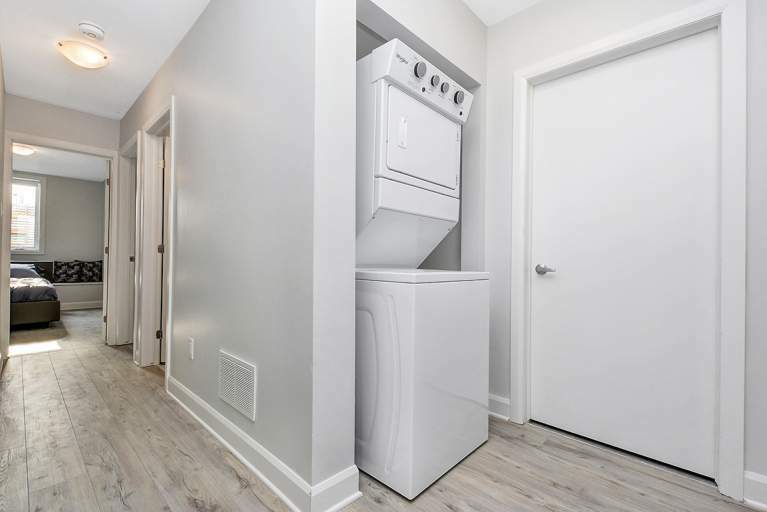 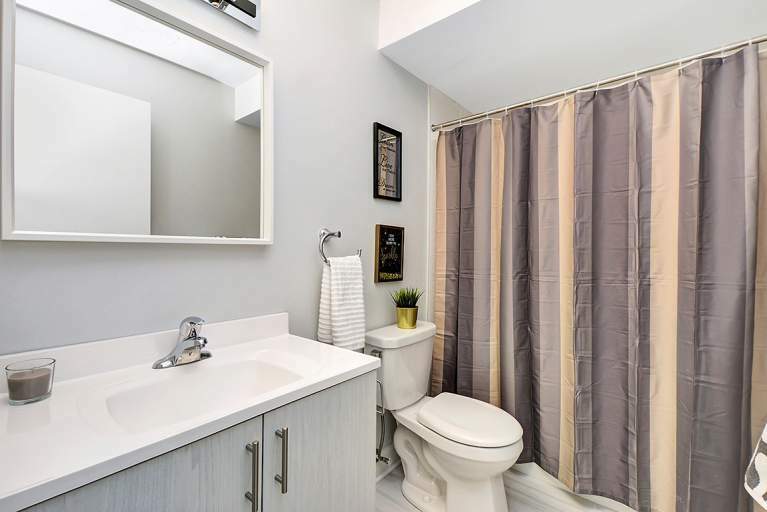 Algonquin Place has premium finishings like marble counter tops and is a place you can feel safe – it's a nice neighbourhood and the units are equipped with keyless locks. 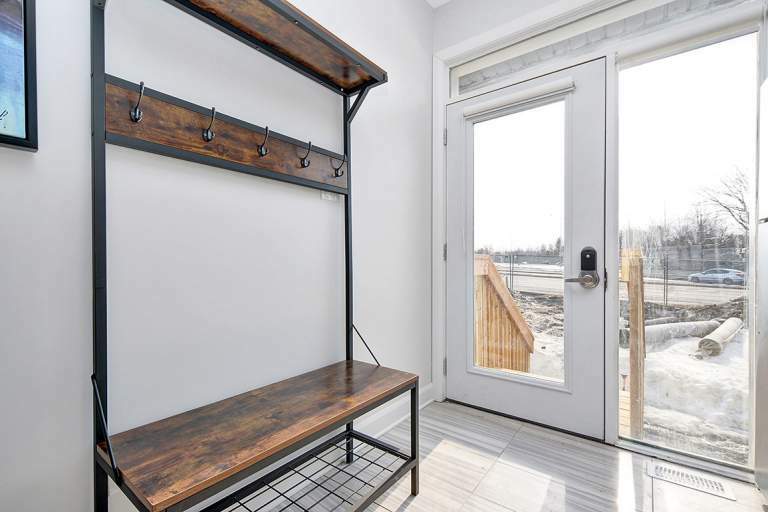 You need to see Algonquin Place to appreciate how Smart it is – so take a virtual tour or book a time to see it in person.